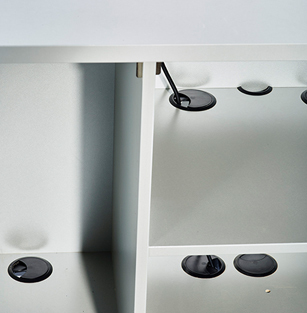 Melitta® Coffee Center - The professional under-table cabinet for our automatic coffee machines. 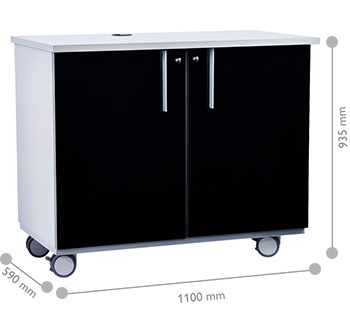 The Melitta® Coffee Center is the suitable professional under-table cabinet for our automatic coffee machines. 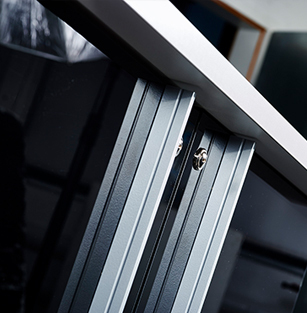 The universal design, which is specifically adapted to the new XT generation, integrates seamlessly into any environment and impresses with an elegant high-quality appearance. 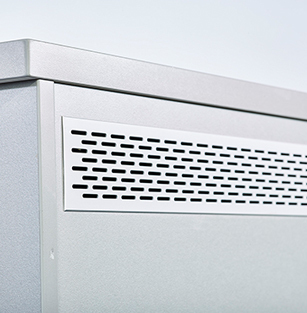 The shiny front is easy to clean and the special sealing protects it against permanent contamination and damage. Just like the sturdy body, which easily supports the high weight of professional automatic coffee machines with a steel frame. 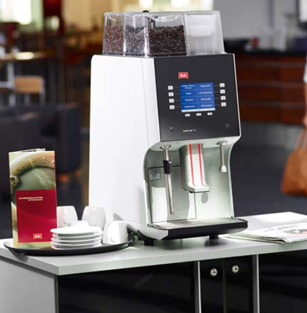 The Melitta® Coffee Center provides space for automatic coffee machines with adjoining milk cooler and cup warmer. If you opt for a multi-function device, you have ample space for accessories like dishes, sugar, stirrers or drinks menus. 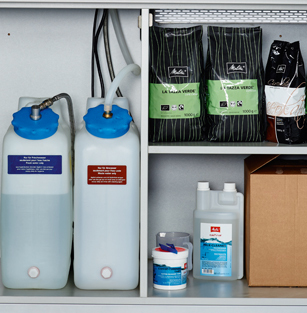 The space inside is designed for easy storage of water reservoirs (for canister operation) as well as consumer goods and accessories like coffee, cleaning agents or cocoa, making them easily accessible at any time. 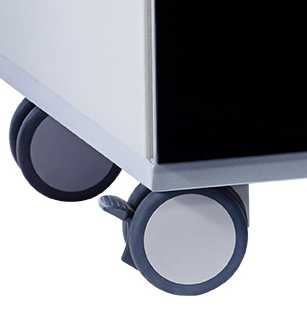 The Melitta® Coffee Center is optionally available on mobile castors. Special designs are available on request. On the back of the body is located a supply and exhaust air opening. This ensures a good indoor climate.